Trendy, colorful and fabulous! 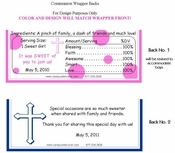 This beautiful First Holy Communion Candy Bar Wrapper comes with or without a photo of your Daughter, name and date of Communion. Not crazy about the color pink? We can change the color to any color you like! 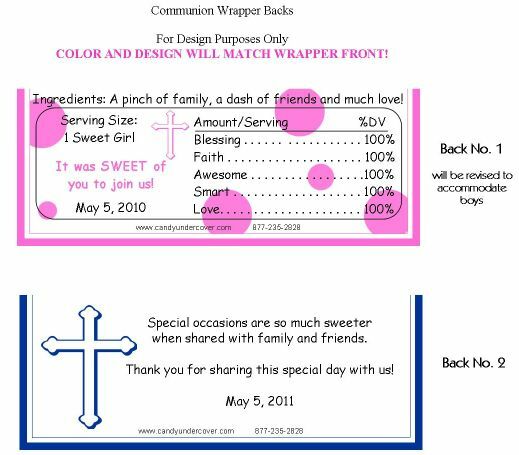 These awesome Communion Chocolate Bars will look great at your Communion Party!